So ive broken in my DT custom usa all natural, mallet and catch. Although it isnt game ready, its getting there! Recently ive noticed the very first and only flaw with my glove. It isnt functional at all, but cosmetically its a bother. On the ring through index fingers i like to bowl my glove. I flare the thumb and pinky. Ive noticed this weird sideways wave like shape going on in the inside of the middle finger stall. Almost like there is some extra leather? The glove closes and feels perfect so im not real worried but this hasnt happened to any of my other gloves before so i wanted opinions on what this could be. Theres a close up photo..
My 1225 does not have any of this. I am going to guess it is a combination of the mid-finger lacing (which I don't have) and the bowl shape/flare combo. A Cy. I think if you loosen the mid finger laces and the finger tip laces, it will help. Unofrtunately, the fingers might not return to their normal flat shape. It might have been better to loosen these before the twisted finger problem got so bad. Yeah, when you bowl out the fingers, they spread apart a bit below th etips, but the mid-finger lacing won't allow that. 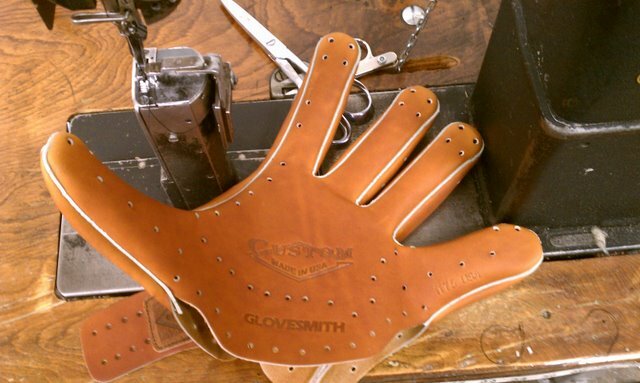 You'll have some extra holes, but I'd consider relacing the fingers and bypassing the mid-finger holes. I actually think the fingers will come back a bit after that. You could try loosening the lace in the mid-finger areas first to see if that helps.